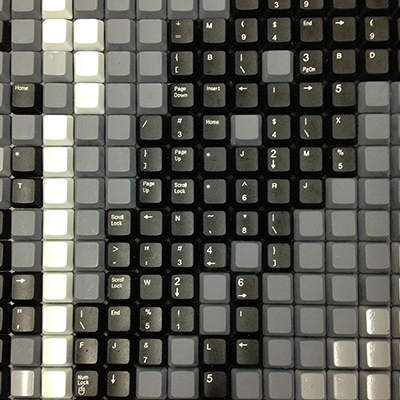 Great ideas begin with collaboration. 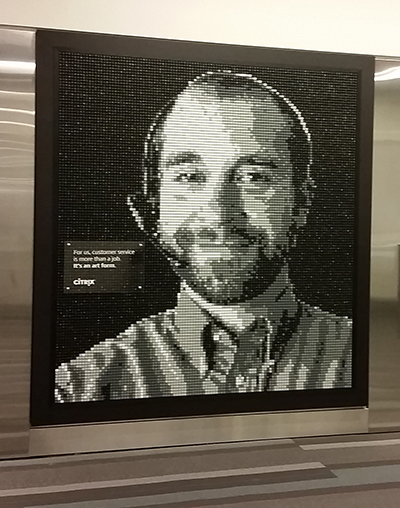 The Creative teams at Point and Citrix collaborated to make a bold statement that demonstrates Citrix’s accessible, mobile, and innovative culture and their commitment to Raleigh-Durham. 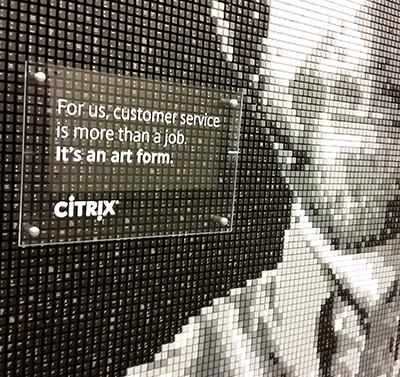 What transpired was a conceptual, intentional, and artful set of advertisement displays which speak to the universal accessibility and unparalleled customer service Citrix has to offer. 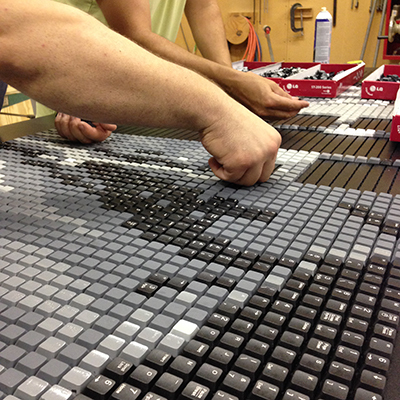 All it took was 13,899 keyboard keys, a few shades of grey, a giant grid, and all hands on deck to build the custom hand-crafted installations. 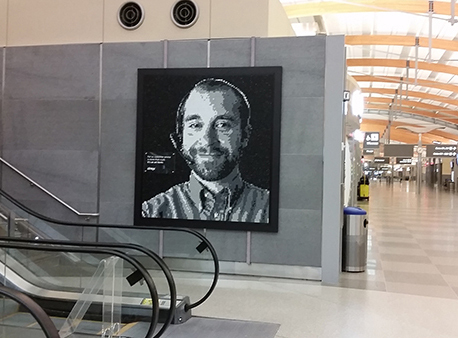 The ads are located in Terminals 1 and 2 in the Raleigh-Durham International Airport (RDU).